I have owned and used radio scanners for many years, and loved them as my posts before December 2011 will testify. 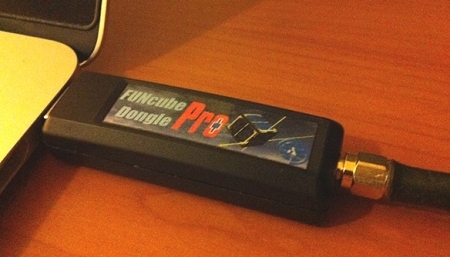 In that month I became the proud possessor of a FUNCube Dongle Plus and discovered the joys of software defined radio, since then I purchased a FUNCube Dongle Pro+ and extended my SDR adventures in to the realms of HF and I have several of the insanely cheap RTL2832 based dongles. As much as loved my scanners there was a major flaw with them, which has been brought into sharp focus now that I have used SDR. No matter how fast or as sensitive as the scanner is are you are still playing a game of chance. You are limited by the frequency steps, demodulation modes and scanning rate of the receiver and you could zip through the band all day and still miss those elusive signals. 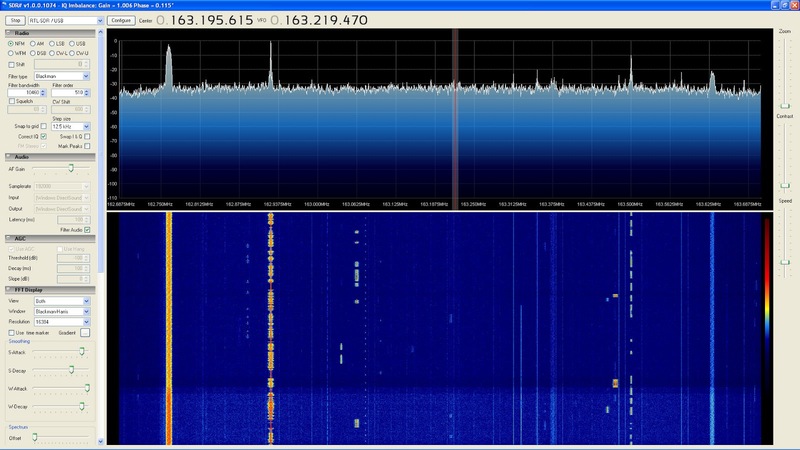 SDR and the waterfall display is a revolution, you can view a portion of the spectrum in real time and actually see the signals, they may be short lived bursts of data and voice, or continuous data transmissions. The RTL-SDR dongles excel in this respect with their wide sampling rate you can view up to 2MHz of the spectrum at once, the following images show typical waterfalls captured this morning using one of my RTL-SDR dongles. 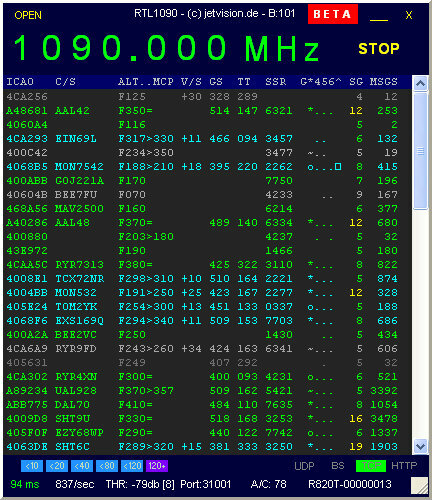 The first one, shows the cluster of data channels (was the old Vodaphone Paknet system) around 164.2 – 164.4 MHz, a trunking control channel and various data bursts, which are mostly Taxi Mobile Data Terminal (MDT) transmissions. A little lower down the spectrum and another trunking control channel, a speech conversation, more data bursts and a faint digital channel. Further up the spectrum into the UHF, a cluster of data transmissions. Simply moving the cursor on the display and you can hear the transmission, if necessary change the demodulation type, widen or narrow the filter bandwidth, save the frequency. If you capture the IQ file you can then replay it endlessly tweaking and refining until you extract the information you want. During the weekend I was experimenting and noticed there was lots of data bursts in the 163-168MHz range, I confess that I already knew what most of them were as I have experimented before with a scanner (with a discriminator tap) and Ian Wraith’s Java based Taxi MDT decoder. I decided to reinvestigate them using the RTL-SDR as the receiver. While many taxi companies still use voice transmissions, many have adopted automated data terminal systems, where the dispatcher sends information about jobs to terminals in the cars, the drivers then can accept jobs, get information and send information back to the dispatcher. Ian’s decoder which requires the Java runtime environment decodes systems that use the same physical layer as MPT1327 i.e 1200 Hz and 1800 Hz tones transmitted at 1200 bps. 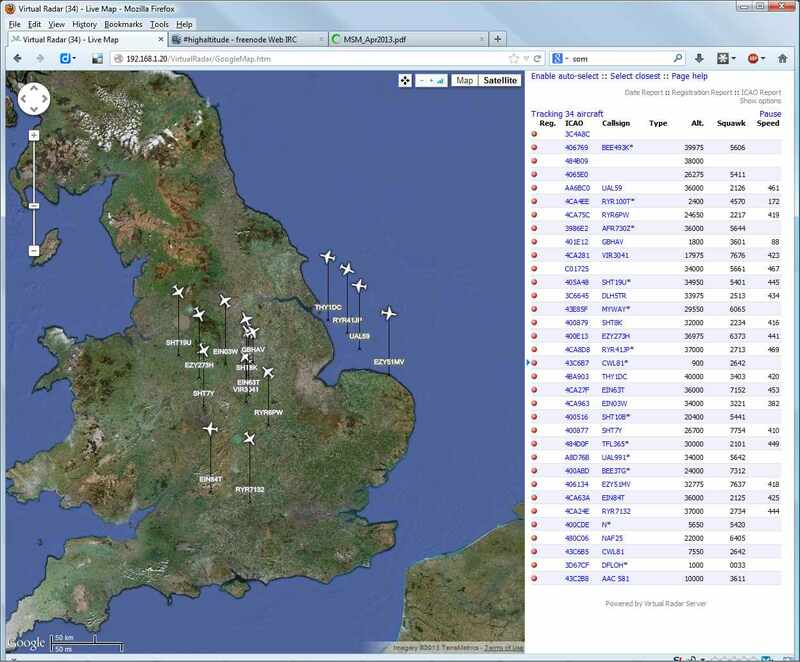 The two main systems used in the UK, are the Autocab and Auriga. The Taxi MDT Decoder currenly decodes the Autocab, but the coding for the Auriga system is still an unknown, so just outputs the raw data. More information about Taxi MDT Decoder can be found here I confess to having one slight niggle with it, often I couldn’t get it to accept sound from the selected input. A work around I found was to first open the Audacity sound editor which I had installed and select the input and start a recording, then opening the decoder seems to make it work! 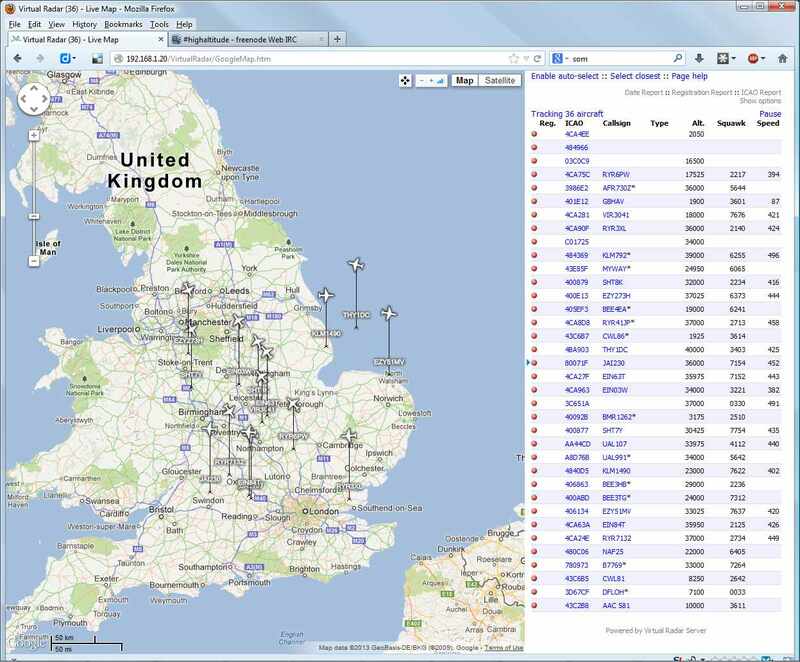 Ian has also written the excellent DMRDecoder which allows analysis of the DMR digital mode which is becoming more widespread. I intend to post some details soon about decoding digital modes, keep watching. I created a video showing the Taxi MDT Decoder in action, the quality is pretty dire but you can get the idea, I identify the Auriga as being encrypted, it might be but as nobody on the team knows the protocol yet! Ever since I got my FUNCube Dongle Pro last Christmas it has been the main focus of my radio experimentation. 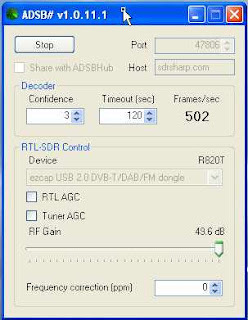 I have used it on a number of computers including some quite old not very powerful machines and with different software applications primarily the SDR-Radio and HDSDR suites. It was a little fiddly to initially set up but I have been impressed with its performance, it has opened my eyes and ears to what is out there on VHF and UHF, much more than I could ever monitor using my scanner receivers. Have a look at my previous postings. Being SDR, with all decoding being done in software, it is effectively capable of all modes capable with the added advantage of having a variable bandwidth which is useful for data modes. I have decoded images broadcast from orbit, received transmissions relayed via satellite and even bounced off the surface of the moon! As well as listening to all manner of terrestrial broadcasts. In a word it is BRILLIANT. It has its faults, or should I say limitations. It would be nice to have more of the spectrum available at one time and the front end filtering and rejection is troublesome at times. However this is more than made up for by its versatility and performance and it often out preforms my PRO2006 on the same antenna. On the various forums and social networks it irks me to see people complaining about its performance but then they are usually the same people who go out and purchase a sub £20 RTL2832U based USB FM/DAB/DTV receiver dongle from eBay to use as a SDR and then complain they cannot get it to work or that its performance is lacking. But then that seems to quite common at the moment, everyone expects to just plug it in and it to just work with the minimum of understanding, involvement or experimentation but I digress. 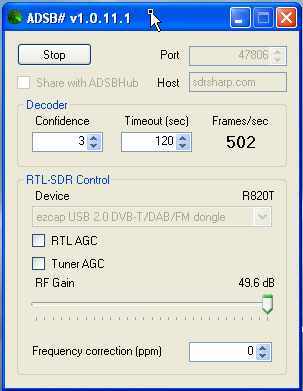 One major limitation of both the FUNCube Dongle and the RTL-SDR based receivers is the poor front end filtering. Connecting a wide band antenna such as a discone to the input often results in a spectrum full of noise which swamps the target signal. In most cases the noise is actually a result of out of band high-power transmissions such as FM and TV broadcast stations and pagers which overload the receiver and get mixed in to the tuned signal. The effects can be mitigated to a degree by turning down the gain of the receiver but at the expense of sensitivity to the signal you are wanting to receive. The FUNCube Dongle in my experience seems especially susceptible to the effects of FM broadcast signals when trying to monitor the 2-Meter amateur band. I’m not sure if the current weather conditions were the cause but yesterday evening it seemed the breakthrough was especially bad. So I decided to experiment with a simple coax ‘notch’ filter. There are two approaches to filtering, one is to use a band-pass filter which passes frequencies within a certain range and rejects (attenuates) frequencies outside that range. The other is to use a band-stop filter that passes most frequencies unaltered, but attenuates those in a specific range to very low levels. A notch filter is a band-stop filter with a narrow stop band. As it happens you can make an effective filter using ordinary coaxial cable which will generate a sharp, deep notch which can be used to attenuate the unwanted signal. A coax stub notch filter can be made if you connect the antenna to the receiver using a T-connector then attach a piece of coax of the appropriate length (the stub) to the remaining connector. I happen to have a fair bit of 10Base2 Thin-Ethernet cabling (RG-58U) and connectors which were repatriated from a previous employer over a decade ago. The network cards they used came supplied with lovely long high quality 10m patch leads with moulded BNC connectors and a T-Connector and terminator! Even back then the 10Base2 was completely redundant as the network infrastructure used Cat-5 cabling. So I dug out one of the T-Connectors and a BNC connector and set to work, connecting the antenna and receiver was simple, all I needed was to construct the coax stub. To calculate the length of the stub you must first calculate the wave length of the desired ‘notch frequency’ for the FM band a good central notch frequency is around 100MHz. So for a 100MHz signal the wave length is 300/100 = 3 meters. Interestingly it seems my RTL based SDR receiver is more affected by pager breakthrough, so I plan to make an alternative stub, adjusting the calculation to use 153MHz as the notch frequency to reduce this. It is possible to add more than one filter at a time using multiple T-Connectors and alternative higher performance designs for coax notch and band-pass filters can be found with a quick Google search. I made a quick video showing the effectiveness of this simple filter which took about 10 minutes to make! Not had much radio time since Saturday due to family duties but did managed to find time to edit down some of the audio from the 144MHz SSB Amateur Radio Contest I received. The first part of the audio was from the FUNCube Dongle, the latter part from the Ultra cheap NewSky DVB-T stick running the RTL-SDR driver. Please note the corruption that can be heard toward the end of audio appears to be an artifact of the sound editor and/or the transcoding used by soundcloud as it wasn’t in the original audio. As it’s the weekend I have managed to experiment with my new SDR device. I have sorted out an adapter so I can connect it to the loft discone and it has been pulling in some very nice clear signals. I have had to do some tweaking especially of the usb transfer buffer size to get some decent audio out of it. I have also had to learn how to use the HDSDR program which I haven’t used much before favouring the SDR-Radio one with the FUNCube Dongle. One thing that caught me out is that when I last used HDSDR with the FUNCube I had to swap the I and Q signals and I don’t need to with the Newsky Tv28t so initially I was very confused as it all seem arse about face! Duh! But now actually growing to quite like it as having a much wider spectrum to see is very nice. By a pleasant coincidence yesterday saw the start of the RSGB 144MHz May Contest so lots of SSB transmissions to tune in to. The FUNCube definitely has the edge when it comes to quality of audio and sensitivity and being able to tune down the gain helps in preventing out of band signal overloading the front end. With the Newsky device I’ve had to have the gain right up most of the time, but I suspect there is still more optimising to do. Just a small video showing some of the SSB Contest signals on the spectrum. Don’t you just love the masses of noise? Really must do something about that damn router! I’ve also got to discover how to calibrate the Newsky as it shows quite a bit off frequency, I understand I need to discover the actual crystal clock frequency and can feed that into the EXT-IO plugin. 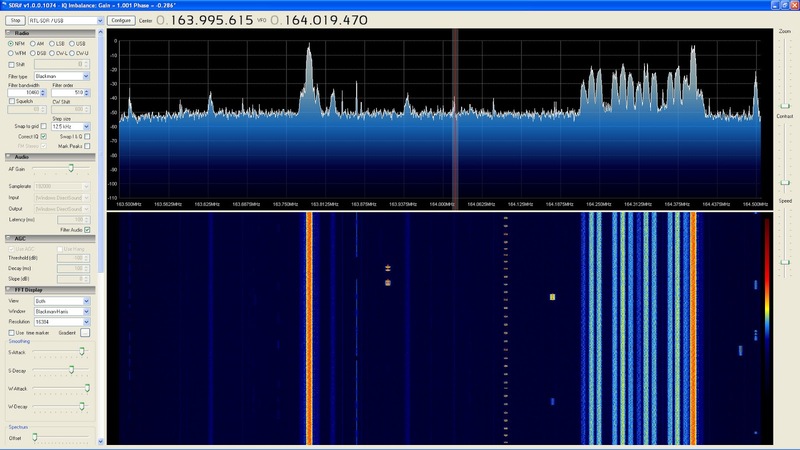 RTLSDR – Part 2 – Hello.. Hello Can You Hear Me? As suspected the problem was indeed the computer. I rushed home at lunchtime and in less than 10 minutes I had installed the software on my main PC and it sprang to life just like the video promised. 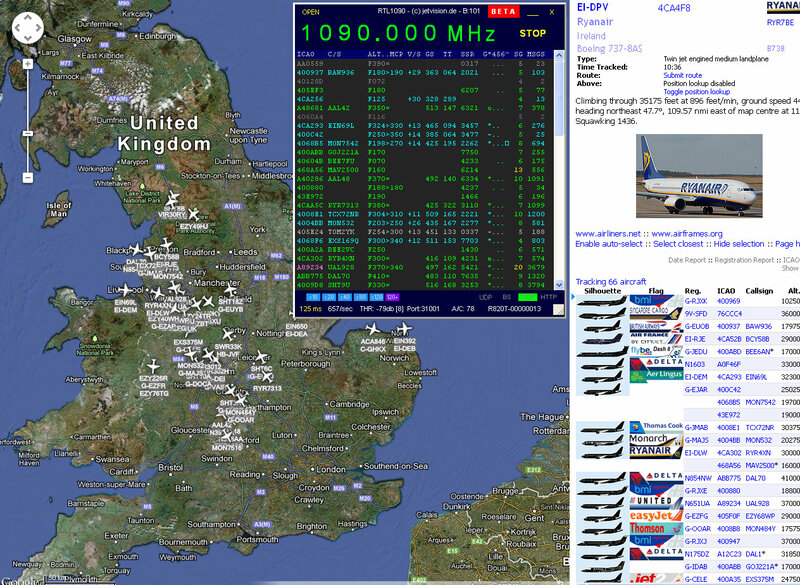 I only had a short time to try it out, but picked up some FM stations, pager signals and the RAF Waddington ATIS which should have been on 291.675MHz but the frequency on the HDSDR screen was way off. It does appear to be a little deaf but I hadn’t got a decent antenna connected so I won’t conclusively say that yet as I’ve got to make up an adapter this evening so I can connect the loft antenna on. Also the EXT-IO interface has a gain control that I didn’t alter from the default. 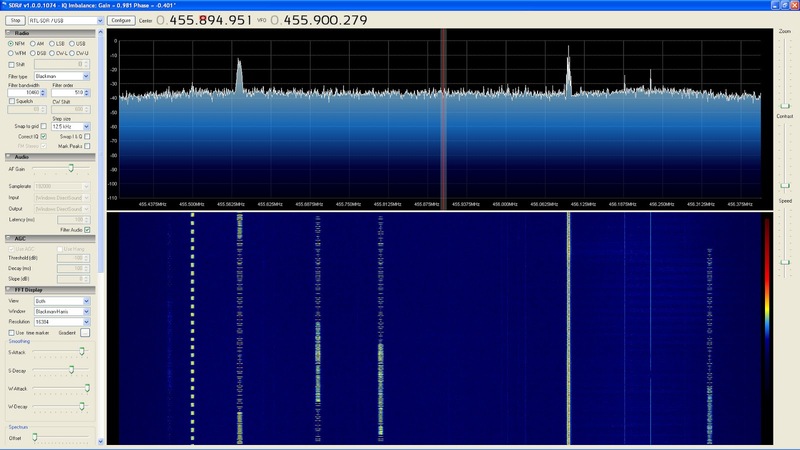 RTLSDR – Part 1 – Failed to Launch! Well that was quick! The USB Receiver with the RTL2832 receiver I ordered it on Tuesday afternoon and arrived yesterday (Thursday) morning (from Jersey based retailer Cosycave via ebay) so was eager to try it out last night. 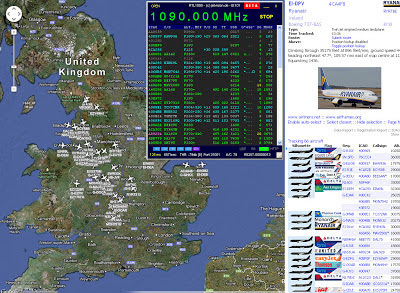 Fired up the old laptop and went off to http://www.rtlsdr.com/ and the getting started section to download the drivers and software and everything seemed to be going well. Following the instructions the device appeared to be correctly detected and the appropriate drivers installed, but then it went pear shaped. HDSDR would open, the EXT-IO window would appear and attach to the device but as soon as I tried to tune the stick or start receiving various errors would appear and nothing worked… I tried a number of different option settings but still no luck! Feeling a bit disappointed I put it down while I watched some TV and tried again later. I uninstalled everything and went through the process again but still ended up with the same errors. I decided to rule out a defective receiver so I uninstalled everything again and installed the manufacturers supplied software. The drivers and something called BlaseHDTV installed without a hitch. I connected the little supplied antenna to the receiver and set off scanning for TV and radio stations. It didn’t complain but found nothing! By now it was well past midnight so I went off to bed in a huff. This morning I connected the receiver to the roof aerial and it did find TV channels from the two local transmitters Waltham (60% signal strength and 100% quality) and Belmont (low signal strength and quality) but when I tried to watch anything I just got random coloured blocks and random noise. Interestingly it didn’t find anything using the DAB or FM radio applications. So is the receiver defective? Unlikely as it did go away and find TV channels. The culprit is almost certainly the computer. Being an untrusting soul when it comes to software ‘off the internet’ I didn’t want to try any of this out on my main computers in case it messed anything up. However the laptop is an old Sony Vaio with a Pentium 4-M processor and only 512MB of RAM and can be prone to sluggish behaviour, especially when trashing the hard drive. Saying that it will happily run SDR-Radio with the FUNCube Dongle. 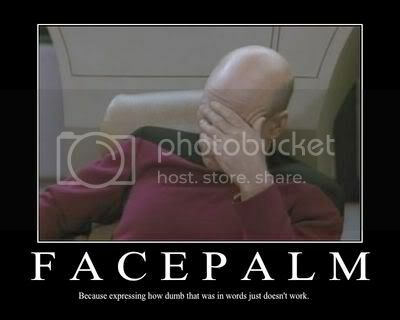 As Captain Picard would say!